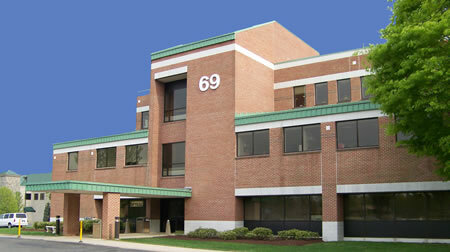 Our Optical shops are located in Danbury and New Milford. Lens choices will vary according to prescription. We can help you select the right lens option for you, please ask our Opticians about your options. Some of the lenses we carry are Shamir, Varilux , Kodak and Hoya brand progressives. All lenses are available in transition and lightweight materials. We also carry a wide selection of specialty lenses, including those that correct for astigmatism, near vision, Keratoconus, and aphakia. We can accommodate all lifestyles, needs and hobbies. When you purchase eyewear from us, you will receive a lifetime of adjustments free of charge, You will also get email reminders of special upcoming events and specials. 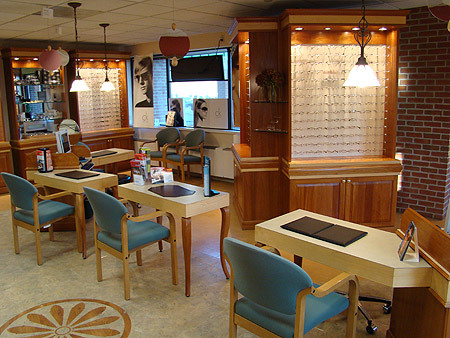 As a courtesy, we are offering $50.00 off any brand of eyeglasses. Coupon is valid in our Danbury and New Milford optical Shops. 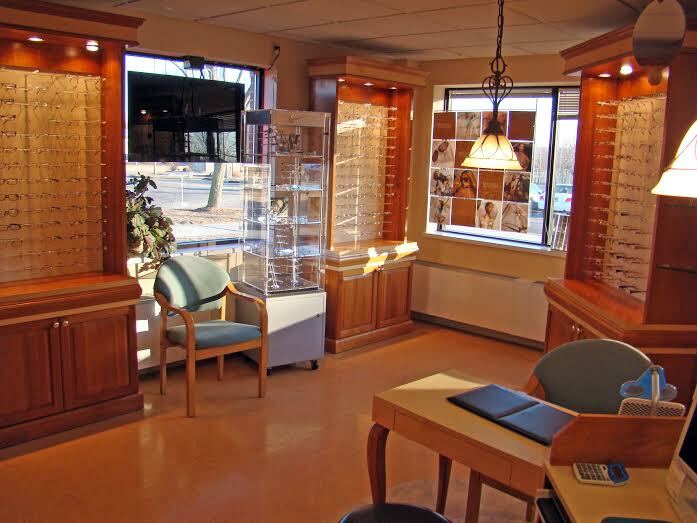 Why Should You Visit Our Optical Shops? Our optical shops carry the latest brands and styles of over 1,000 designer frames, sunglasses, and lenses. Our quality of frames is superior, constructed of the newest most durable material available including Autoflex, bendable and twistable brand frames for the customer who prefers technology. Some of the top designer frames include Gucci, La Coste, Ray-Ban and CoCo Song. We offer designer brands that you can't find anywhere else. Once the brands are discontinued we remove them from our inventory offering you only the latest styles of eyewear. We also stock a wide variety of children's frames accommodating all ages from infancy to adult sizes. These styles and more are available twice a year through our annual eyewear trunk show which offers the latest and greatest vendors displaying their designer eyewear. Lens choices will vary according to prescription. We can help you select the right lens option for you, please ask our Opticians about your options. Some of the lenses we carry are Varilux, Kodak and Hoya brand progressives. All lenses are available in transition and lightweight materials. We also carry a wide selection of specialty lenses, including those that correct for astigmatism, near vision, Keratoconus, and aphakia. We can accommodate all lifestyles, needs, and hobbies. When you purchase eyewear from Danbury Eye or Eye Designs, you also receive a lifetime of adjustments free of charge, You will also get email reminders of special upcoming events. Ask us about contact lenses. You will be surprised that our prices for contact lenses are very competitive with other distributors. We offer such brands to suit all lifestyles- dailies, monthlies, and gas permeable. Please ask an Optician or Optometrist for a price list and compare for yourself. Contact lenses are now available to order through our website. Please click here to order online and create your own password.